DivorceNM.com was developed to provide meaningful access to the New Mexico Family Courts without breaking the bank for a divorce or custody case. It was founded by experienced New Mexico family law attorneys to support families who want to reduce the cost of resolving their divorce or custody case. While the court can provide you with the necessary documents to file for divorce, it does not guide you through the process. DivorceNM is here to support you in that process and help you find the best solution for your family. At DivorceNM, we believe that access to the New Mexico Family Courts is not a luxury option available only to those with the financial resources to pay attorneys, but instead is a necessary step in allowing all families to move forward. Separating hurts, divorce doesn’t have to. We strive to help make the process both affordable and seamless. By using DivorceNM, you will have the resources to represent yourself in court, and get prepared for your New Mexico divorce. You will be guided through our easy to follow instructions on the preparation of your legal documents and will have the opportunity to consult an attorney about your case. In the consultation, our attorneys can explain the process, including how to file an application, how the divorce is finalized, and what decisions must be made about your children. They can review your application to make sure it is correct, or even fill out the application for you. Any legal documents you prepare will be maintained in a personal account with DivorceNM. At any time during this process, you can seek mediation services. Through DivorceNM.com, you will be able to schedule sessions with an experienced mediator who will guide you and your spouse through any difficult decisions about your family. If at any time you wish to hire an attorney, referrals to highly experienced attorneys are readily available. DivorceNM.com has contracted with the Family Law Resource Group, LLC to provide the best services for you to represent yourself in court and complete your divorce or custody case. 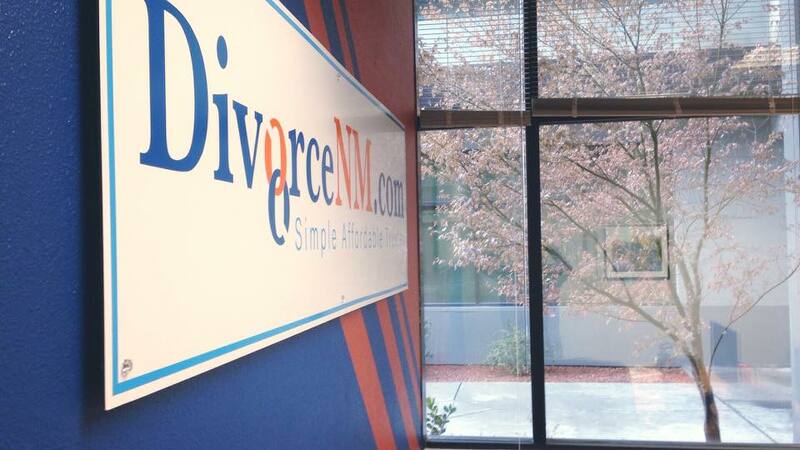 DivorceNM.com has a physical location in Albuquerque, New Mexico. DivorceNM.com allows you to take control of your divorce by assisting you to craft a divorce, custody or child support agreement that fits your needs and budget. Why spend a small fortune paying for attorney’s fees when you can handle your case on your own? Through DivorceNM.com you will learn about the law, your rights and what is expected of you and the other party. We are a Simple, Affordable & Trusted solution so that you can complete your divorce, On Your Own, but Not Alone.